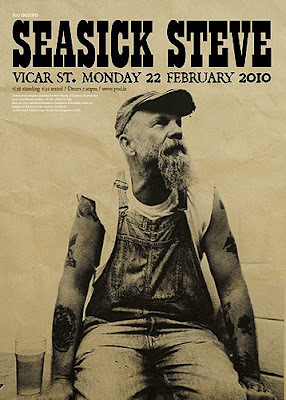 This temporary Seasick Steve poster was a super quick one. It was done one afternoon just to be put up in the venue that night, I think the gig was announced that day. This gig and a second one ended up selling out before a proper poster was ever needed. So this is it.